The motorcycle show season is well under way, and while Intermot and the AIM Expo have already delivered a few surprises (including the Kawasaki Vulcan S revealed at AIM), it is traditionally at EICMA –– in Milan, Italy –– that manufacturers choose to deliver the most reveals. After all, it was here that Harley-Davidson last year announced its game-changing Street 500 and Street 750 models. Sadly, no such excitement was delivered this year by American manufacturers. Although the show is international, this year's EICMA (which took place last week) seemed to see the home team getting the most hits, with a number of models being revealed by Italian manufacturers. Additionally, it was a strong year for the ever-evolving adventure class. And it was a show that saw moto-journalists drooling over a class that many of us had thought was on its deathbed: the ridiculously high-powered sportbike. Aprilia, Benelli, Ducati, Moto Guzzi, and MV Agusta all released new or updated models. 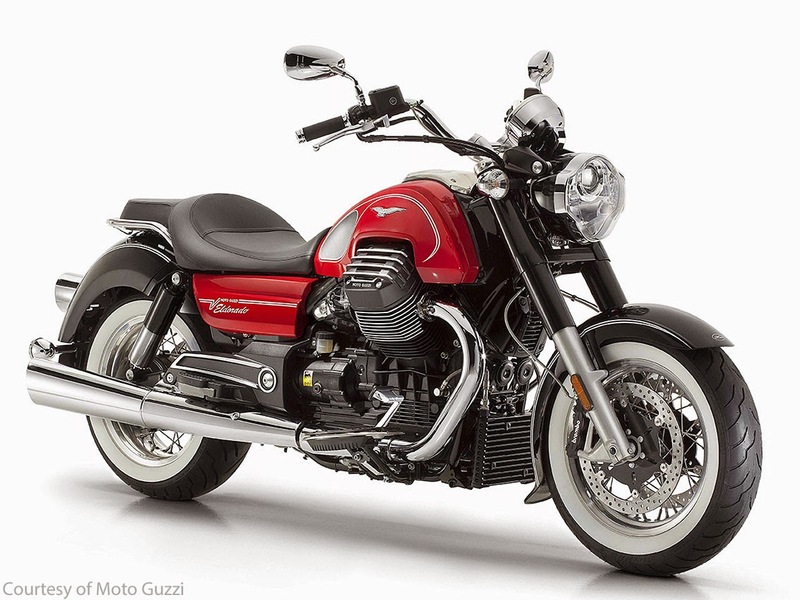 Perhaps of most interest to American riders are the new versions of the Moto Guzzi's popular California cruiser. The 1400cc sport cruiser is being offered in two new variants: Audace and Eldorado. The Eldorado in particular draws the eye with spoked wheels and white-wall tires. Moto Guzzi also tantalised cruiser fans with its MGX-21 concept model. 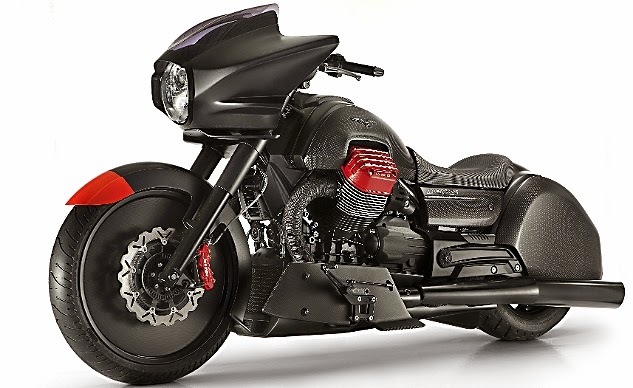 Looking oh-so-slightly like the sort of art deco version of the future that someone in the 1930s might have dreamed up, the MGX-21 features a 21-inch front wheel, an enclosed tail section that makes it look like a bagger without the benefit of bags, and somewhat Mad Max-esque set of floorboards. Accompanying this indescribable machine was a delightfully indecipherable press release featuring such statements as: "MGX-21 is the emblem, the most extreme summary of this fascinating and courageous project." But, it is said that the Moto Guzzi is a purely emotional experience –– you either get it or you don't. So, perhaps there is no need for the company to issue press releases that make sense. Here's a picture of the MGX-21. The message seems to be: love it or don't. Meanwhile, two classic British brands that have each been reborn under foreign ownership revealed their newest offerings. Indeed, the stories of Matchless and Brough Superior are similar in that both have been transformed into boutique brands. Now owned by an Italian fashion designer, Matchless revealed a 1900cc V-twin that is the perfect accoutrement to any outfit. Dripping with chrome and given a vintage styling the Matchless Model X Reloaded's price has not yet been officially announced but insiders say we should expect it to be "north of $45,000." Not to be outdone, the once famed Brough Superior brand is now in the hands of Frenchman Thierry Henriette and promising that a V-twinned SS100 model is just around the corner. Carrying the iconic styling cues of the bikes famously ridden by the likes of Lawrence of Arabia in the 1920s, this model is likely to set you back roughly $65,000. 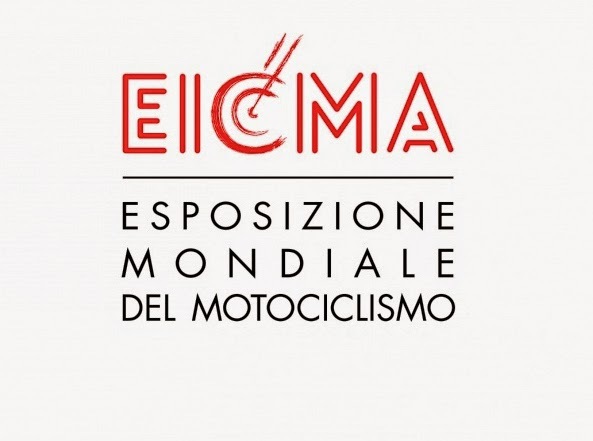 Closer to Earth, EICMA was the showcase for several new or updated adventure-styled models, coming from BMW, Ducati, Honda, KTM, MV Agusta, Triumph and Yamaha. Most of these models, however, are clearly not intended to see much, if any offroad duty. It is a trend similar to the one followed by SUVs several years ago, when the space afforded by such vehicles resulted in many being transformed into luxury machines. Adventure ergonomics have found their way to sporty engines, providing a new home for the old sport-touring riders whose knees have given out on them. The new BMW S1000XR, for example, carries the blistering 160-hp engine of the S1000R and will be loaded with all kinds of electronic riding aids clearly designed for those eager to stay on pavement. 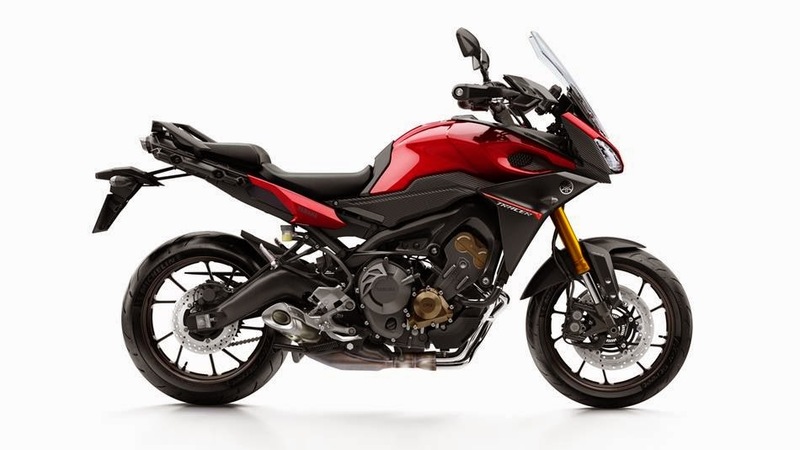 The same can be said of the intriguing Yamaha FJ-09 (called the MT-09 Tracer outside the United States), which transforms the incredibly popular FZ-09 into a touring-worthy rig. Priced at just $10,490 the FJ-09 claims roughly 115 hp and will be offered with different riding modes, traction control and ABS as standard. Also, apparently looking to capitalise on an European Union loophole that would allow it to sell such bikes to younger riders there, KTM announced the 1050 Adventure. Which is just a smaller version of the 1190 Adventure, which itself is basically just a smaller version of the 1290 Super. Meanwhile, Triumph and Ducati offered tweaked versions of the popular Tiger and Multistrada models respectively. Standing out from the crowd was Honda, who introduced a mysterious mud-caked machine that is clearly designed to be treated roughly. Currently claimed to be a prototype (yeah, right –– expect to see it in 2015) the Honda True Adventure claims direct lineage to the fabled Africa Twin. If you've ever read a story about someone riding around the world or exploring the vast emptiness of Mongolia, you'll inevitably have read tales about the Africa Twin. On the opposite side of the spectrum, insanely powerful sportbikes were also drawing oohs and ahhs. Kawasaki started things off by introducing a street-legal version of the unspeakably powerful Ninja H2R that it unveiled last month. The Ninja H2 will deliver "only" 200 hp, as compared to the 300-hp H2R, and will set you back roughly $25,000. Yamaha's new YZF-R1, meanwhile, is claimed to be capable of more than 200 hp and carries an impressive electronics package that includes the ominously named "Launch Control" feature. Not to be outdone, Honda introduced its RC213V-S (say that three times fast), which, like the True Adventure, is claimed to be only a prototype and which, like the True Adventure, will almost certainly be available some time in 2015. 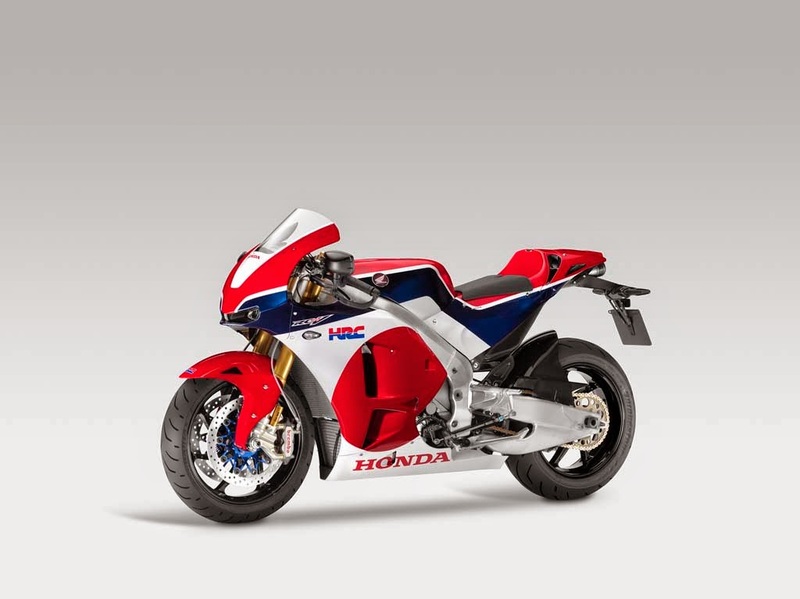 With a styling nod to the square-tailed sportbikes of the 80s, the RC213V-S will be a limited edition and will not be cheap. Some insiders say it could cost in excess of $100,000. Save your pennies.